ISU STRIPS and the UNI Tallgrass Prairie Center will demonstrate the practical use of prairie on a working farm at a field day that will be held 5:30-7:30 p.m. on Thursday, June 21 near Elkader. Hosted by Roverud Family Farm, the field day will focus on integrating prairie into row crop fields for sediment and nutrient reduction. The farm is located at 19575 Sandpit Rd, Elkader. There will also be an opportunity to view infield prairie strips and take a field walk following the program. There is no cost to attend this field day, which includes a complimentary meal with registration. Technical service providers, landowners, farm managers, conservation professionals, and those interested in learning more about the benefits of native vegetation are strongly encouraged to attend. This event will be held rain or shine. Registration in advance is preferred for meal planning purposes and to be informed of location change in the event of inclement weather. To pre-register, contact Staci Mueller at (319) 273-3866 or staci.mueller@uni.edu by June 18. For more information, go to www.prairiestrips.org or https:// tallgrassprairiecenter.org/ . Land rental relationships can vary, but many face similar challenges of discussing new conservation practices with your tenant or landlord. To help begin the conversation, Iowa Learning Farms created a new publication series with talking points and relevant research findings about a variety of conservation practices. “A large number of Iowa cropland acres are rented every year; nearly 50% according to recent surveys. These rented acres are greatly influenced by the tenant who farms them,” stated Mark Licht, Iowa State University assistant professor of agronomy and Iowa Learning Farms advisor, who cultivated the idea of the series. Examples of leasing structures that can be used when adding cover crops included in the series. “We developed this series in response to questions we heard from landowners. 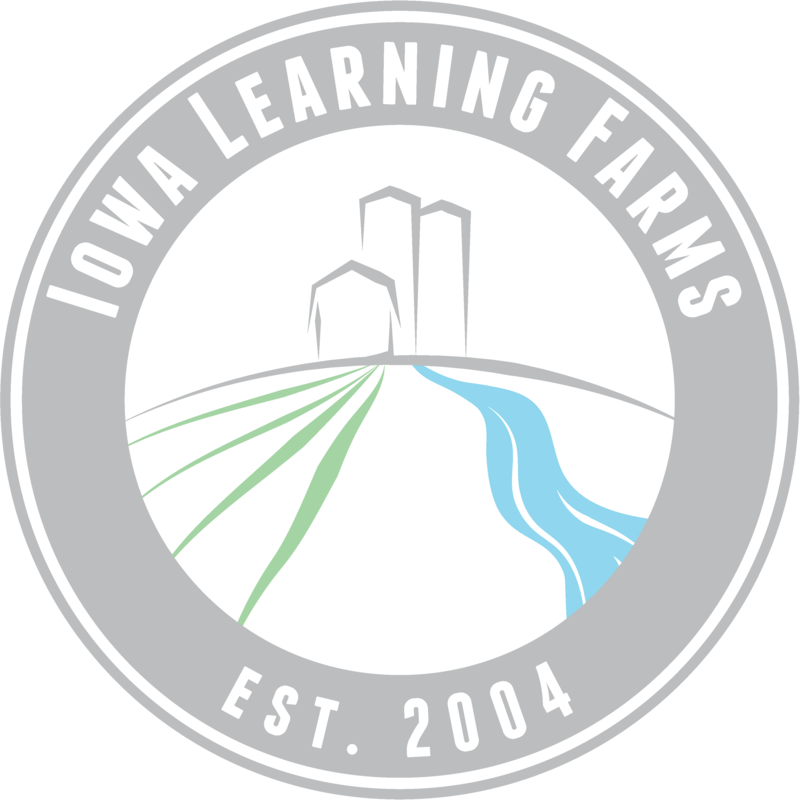 They wanted to understand how conservation practices such as strip-tillage and cover crops would affect both their land and the tenant’s bottom line before asking them to add these practices to their management plans,” explained Jacqueline Comito, Iowa Learning Farms director. “While the name of the series is ‘Talking to Your Tenant,’ the reverse is also true. We think tenants will find the series also helpful as they educate their landowners on implementing these important practices,” adds Comito. The series addresses in-field practices like cover crops, no-tillage and strip-tillage, and edge-of-field practices such as denitrifying bioreactors and wetlands. If you have ideas for future topics for this series, contact Liz Juchems at ilf@iastate.edu or call 515-294-5429. The four-part series, along with other print and video resources, are available online. Copies will also be available at field days and workshops, or mailed to you upon request. Have you heard our newest Conservation Chat? Our 26th podcast in the Conversation Chat series features Dr. Lisa Schulte Moore, Iowa State University Professor in the Department of Natural Resource Ecology & Management. Iowa Learning Farms Director, Jacqueline Comito, speaks with Schulte Moore, who is co-founder of the STRIPs (Science-based Trails of Rowcrops Integrated with Prairie Strips) project. This project, based out of ISU with test strips in operation on the Neal Smith National Wildlife Refuge and various private lands, is the first scientific field study promoting the use of prairie strips on agricultural land as a water quality and conservation practice. A prairie isn’t that different from an old growth forest, it’s just that all the biomass is below the ground. But you can get something that looks, at least above ground, like a prairie much more quickly than you can get an old growth forest. And so in some ways it’s a little bit more satisfying because I can see more of my impact in my lifetime. Schulte Moore tells Comito about not only the dramatic water quality benefits from converting 10-20% of agricultural land into prairie, but the increase in wildlife biodiversity and its benefits as well. She says the results from just the first five years of scientific data on twelve experimental catchments at the Neal Smith National Wildlife Refuge are unprecedented: a 7-fold increase in native birds and insects, a 4-fold increase in the total abundance of insects (including a 3.47-fold increase in native pollinators), and a 15% increase in natural enemies (insects that feed on crop pests). Why should we care about having greater biodiversity of wildlife in our agricultural lands? Schulte Moore tells us that birds, for example, offer humans many benefits—they act as a “canary” for measuring the health of an ecosystem: the more bird biodiversity, the healthier and more balanced the surrounding ecosystem. Birds control insect pests by preying on insect populations, and also eat weed seeds in cropland. And many humans enjoy observing and feeding different types of birds. Are you a farmer who is interested in learning more about how to put prairie strips onto your land? Are you interested in learning more about the benefits of adding strips to row crops, the funding and costs, and possibilities for implementing prairie strips in new locations on your land in the future? Or maybe you are curious about Dr. Schulte Moore’s self-affirmed obsession with fire, or her special talent related to ornithology. If any of these things spark your interest, then this Conservation Chat is right up your alley. Click on the image below to be taken to the Conservation Chat with Dr. Lisa Schulte Moore!